People often think of Scandinavia as cold, dark, and snowy. While this may be true for most Scandinavian countries during some seasons, Copenhagen, Denmark, has comparatively mild weather because it is surrounded by ocean. The oceanic flow of northern air causes the climate to have cool summers and cool but not cold winters. Summer is quite pleasant with high temperatures ranging from 64 degrees Fahrenheit (18 degrees Celsius) to 75 degrees Fahrenheit (24 degrees Celsius). The skies may be overcast during the long summer days. The winter months, with temperatures averaging 32 degrees Fahrenheit (zero Celsius), aren't as frigid as you might expect and it's likely you'll want to get out and enjoy some Christmas merriment. By February and March, the zero percent humidity and persistent colder weather, make those months the least ideal for a visit. Because of its northern location, daylight hours vary widely across seasons. In Denmark, the shortest and longest days are greeted with traditional celebrations. 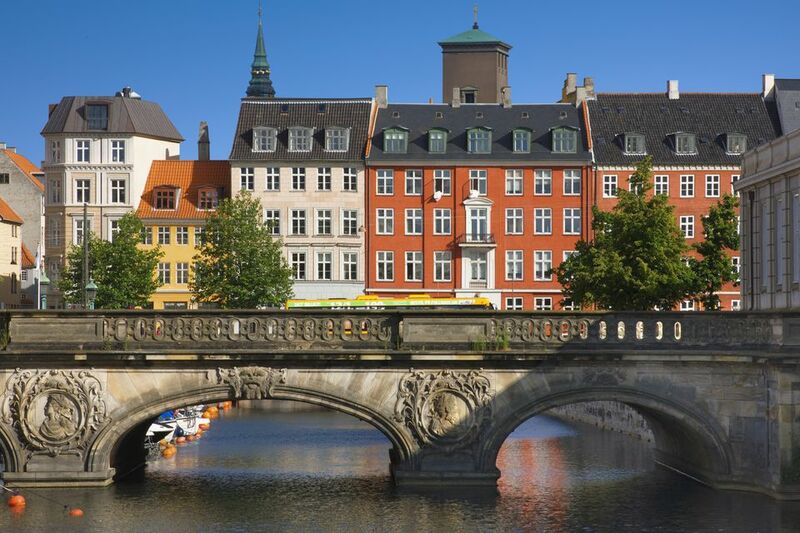 Due to its moderate climate, Copenhagen is a popular tourist destination throughout the year. Here's what you need to know when planning your trip to Denmark. The summer months from June to August are fairly warm and pleasant. Locals flock to Copenhagen’s beaches despite the chilly water temperatures. In summer, the days grow longer and you'll find Copenhagen skies to be overcast. Visit Copenhagen in May or June to beat the summer stampede of tourists, but if you want to enjoy the outdoor concerts and summer festivals, go in July and August. Prepare for rain when visiting in the summer. July and August see the most precipitation, usually in the form of drizzle, so have an umbrella or jacket on hand. What to pack: Since it doesn't get very hot in Copenhagen, shorts aren't necessary. A pair of pants and a light shirt will keep you comfortable. Layer with that waterproof jacket. In autumn, leaves are starting to turn into hues of blazing red and orange. Temperatures in Copenhagen begin to drop at the beginning of September with nighttime lows reaching the freezing point by mid-November. However, considering the latitude, it doesn't feel as cold as you might expect. What to pack: Be sure to have a warm jacket, gloves, and a scarf. Layering is always the way to go. Winter temperatures can hover around freezing with the wind chill making it feel colder. Daylight hours are short during the winter with the sun rising as late as 8:30 a.m and setting as early as 3:30 p.m. February is the coldest winter month. The joy of visiting Copenhagen during the winter months is experiencing a Scandinavian Christmas. You cannot help but be swept away by the merriment and festive atmosphere, and a glass of mulled red wine at a local Christmas market in Copenhagen will keep you warm. What to pack: Be sure to pack a warm hat and plenty of layering clothes when visiting during the winter. It rains rather than snows in Copenhagen, so keep a waterproof coat or an umbrella on hand. Spring hails the return of longer days and the opening of outdoor attractions such as the Tivoli Gardens for the summer season. Cold weather persists well into March and humidity levels stay around zero percent, which can make for a chilly visit. Temperatures start to rise in April and flowers have begun blooming by late March. What to pack: Warm clothes will come in handy when visiting in early spring. As with other seasons, keep an umbrella or rain jacket on hand, just in case. Although rather mild, weather-wise Copenhagen can be rainy. Expect the skies to be overcast.